Black Hills, Deadwood, Yellowstone National Park, Grand Teton National Park, Bryce Canyon National Park, Zion National Park, Lake Powell, Painted Desert, and Grand Canyon National Park. Marvel at the West's premier natural wonders on this 6-state vacation and see spectacular scenery, memorials, monuments, parks, canyons, and much more. Your trip begins in Rapid City with a transfer to Keystone for visits to the Crazy Horse Memorial and Mount Rushmore National Memorial. Visit Tatanka and Deadwood, once a wild gold-mining town, and journey west to Buffalo Bill’s frontier town of Cody, Wyoming. Then head to Yellowstone National Park to see magnificent views of Yellowstone Canyon, Lower Falls, and world-famous Old Faithful Geyser. Overnight in Yellowstone National Park (depending on the time of year) before traveling into breathtaking Grand Teton National Park for a delightful walk along glacier-fed Jenny Lake. In nearby Jackson, with its wooden sidewalks and swing-door saloons, you’ll have plenty of free time to tour on your own. Next, it’s on to Salt Lake City, Utah’s capital, for a sightseeing tour; then marvel at the “hoodoos” and dramatic landscapes of Bryce Canyon National Park and Zion National Park. Stunning scenery awaits you in both parks, so have your camera ready! Continue into Arizona to Page, on the shores of Lake Powell, and cross the Painted Desert to amazing Grand Canyon National Park. Your hotel is located in the park, giving you a rare opportunity for great views and time to explore this spellbinding place. For a thrill of a lifetime, take an optional flightseeing trip over the Grand Canyon. Finally, travel to Las Vegas, where this spectacular vacation ends. On this vacation through some of the West’s premier national parks, you’ll see breathtaking scenery that cannot be found anywhere else—a trip of a lifetime! Welcome to Keystone in the beautiful Black Hills. Your Tour Director is on hand this evening to answer any questions. KEYSTONE Mt. Rushmore’s White House Resort (T). Day 2 Keystone–Crazy Horse-Mount Rushmore–Deadwood. See CRAZY HORSE MEMORIAL, a monument carved out of a mountain that pays respect to the great Native American hero, Chief Crazy Horse. 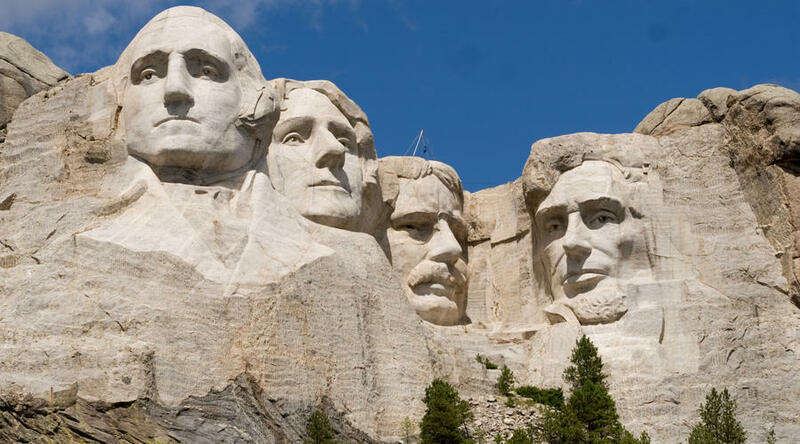 Drive deep into the Black Hills, through what was Sioux Indian territory, to see the stunning granite faces of MOUNT RUSHMORE, a giant monument to four great American presidents: Washington, Jefferson, Lincoln, and Theodore Roosevelt. 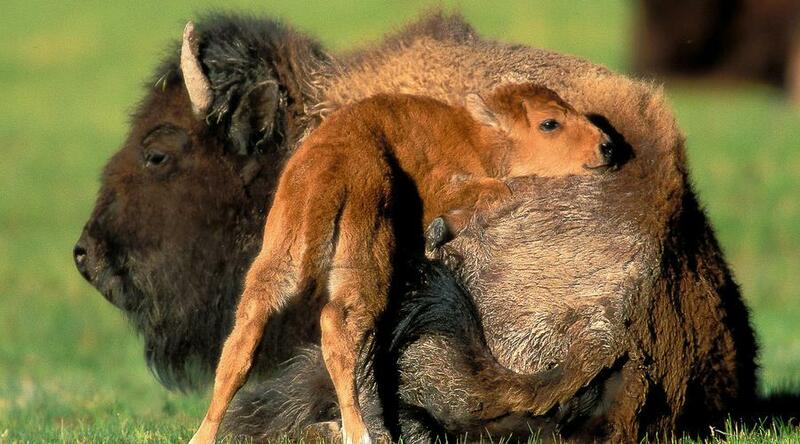 Afterward, visit TATANKA: The Story of the Bison, and experience the richness of the Lakota people. On to Deadwood, a lawless frontier town during the 1876 Gold Rush, where Jack McCall murdered Wild Bill Hickok during a poker game. Overnight here, and discover Deadwood’s Wild West ways as you walk in the footsteps of legends like Calamity Jane and Seth Bullock. KEYSTONE Mt. Rushmore’s White House Resort (T). 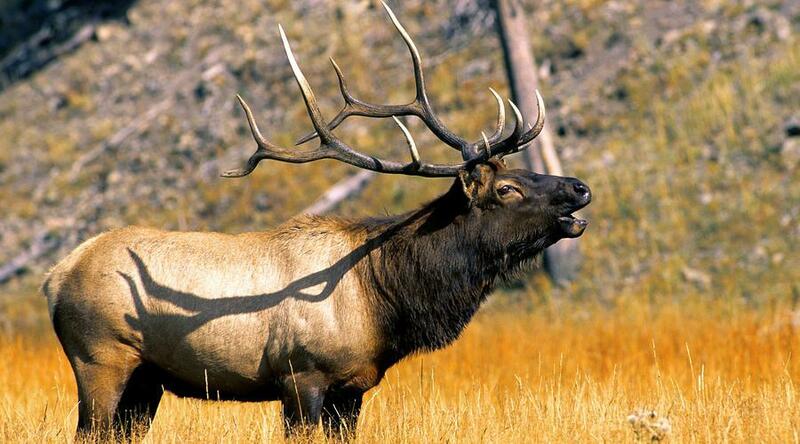 This morning, head through high country, where open-range cattle kings made war on the homesteaders in the 1890s. Drive past Sheridan in the Bighorn Mountains, site of battles between the U.S. Cavalry and the Sioux, Cheyenne, and Crow Indians. Overnight in Buffalo Bill’s frontier town of Cody. (CB) DEADWOOD Comfort Inn and Suites at Gulches of Fun (ST). Day 4 Cody–Yellowstone National Park. Proceed through Shoshone National Forest to YELLOWSTONE NATIONAL PARK. Travel along Grand Loop Road to Artist Point for views of the Lower Falls of the Grand Canyon of the Yellowstone. Overnight in Yellowstone National Park. CODY Buffalo Bill Village (ST). Day 5 Yellowstone National Park. Today, explore more of America’s first national park by returning to visit the geyser basins with bubbling mud paint pots and the reliable “blow” of Old Faithful. In addition to superb mountain scenery, the park is one of the world’s principle wildlife preserves and a photographer’s paradise. YELLOWSTONE NATIONAL PARK Yellowstone National Park Lodges (NP) or Brandin’ Iron Inn (T). Day 6 Yellowstone–Grand Teton National Park–Jackson. 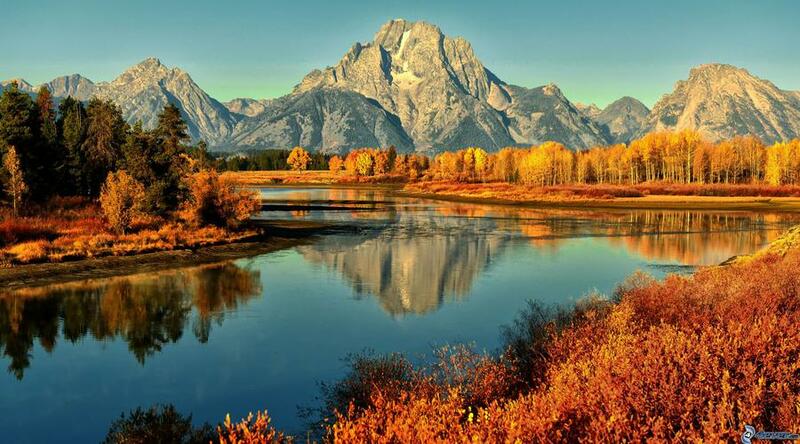 Head south into magnificent GRAND TETON NATIONAL PARK, one of America’s last preserves of wild solitude. Its 13,770-foot-high ridges are crested with snow most of the year. Stroll along the shores of beautiful glacier-fed Jenny Lake before ending the day in the Wild West town of Jackson with its wooden sidewalks and swing-door saloons. This evening, join an optional barbecue cookout and Wild West show. YELLOWSTONE NATIONAL PARK Yellowstone National Park Lodges (NP) or Brandin’ Iron Inn (T). Time to relax in Jackson, or how about joining a scenic trip down the Snake River? Enjoy an 8-mile float trip that begins at Pritchard Creek and travels past the nesting areas of both bald eagles and ospreys. Later, the afternoon is free in Jackson to explore the shops and museums of historic downtown. This evening, maybe stroll along the old-time boardwalks downtown and enjoy supper at one of the swing-door saloons. (CB) JACKSON Painted Buffalo Inn (ST). Day 8 Jackson–Salt Lake City. 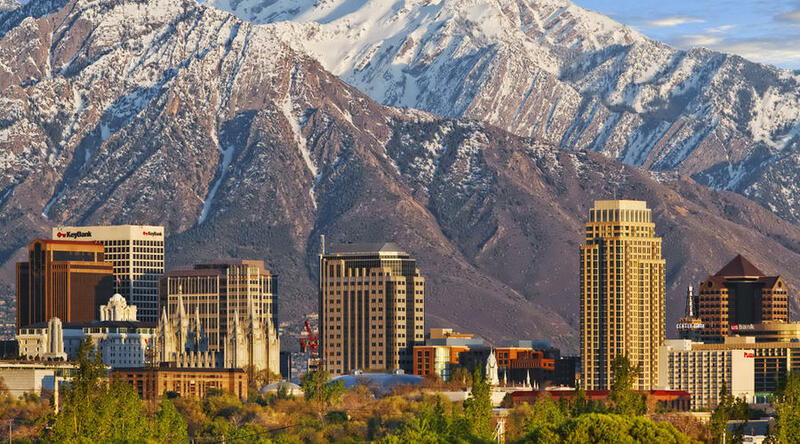 Today, leave Jackson and drive to Salt Lake City, Utah’s vibrant capital. Set on the edge of Great Salt Lake Desert, this center of the Mormon religion is where Brigham Young declared to his followers, “This is the place.” An included sightseeing tour features a glimpse of Temple Square, the Capitol Building, and beautiful downtown Salt Lake City. (CB) JACKSON Painted Buffalo Inn (ST). Day 9 Salt Lake City–Bryce Canyon National Park. Journey through sagebrush landscape to BRYCE NATIONAL PARK with its 20 miles of sandstone cliffs and ever-changing colors. See some of Earth’s most brilliant shades of rock, sculpted by nature into pillars called “hoodoos.” SALT LAKE CITY Red Lion Hotel Salt Lake City Downtown (MF). Day 10 Bryce Canyon National Park–Zion National Park–Page. First stop today is ZION NATIONAL PARK with its landscape carved over millions of years by rushing streams. Steep canyons, stone towers, and verdant vegetation form the scenery of Zion. Then, head east into Page on the shores of Lake Powell, originally built to house workers during the construction of the massive Glen Canyon Dam, which holds back the waters of 186-mile-long Lake Powell. BRYCE CANYON NATIONAL PARK Best Western Ruby’s Inn (ST). Day 11 Page–Painted Desert–Grand Canyon National Park. Enjoy an optional flight over scenic Monument Valley. Then, cross the Painted Desert and head through Kaibab National Forest before arriving at the GRAND CANYON in the early afternoon. Marvel at one of the Natural Wonders of the World as you experience amazing views. You’ll have plenty of time to do some viewing before dusk, as your accommodation is inside Grand Canyon National Park. (CB) PAGE Quality Inn Lake Powell (MF). Day 12 Grand Canyon National Park–Las Vegas. For a once-in-a-lifetime thrill, take an optional flightseeing trip over the Grand Canyon, with incomparable views of flame-colored walls plunging 4,800 feet into the Colorado River. Leaving the high country of Arizona, we pass through Williams on famous Route 66, and then the old Mojave gold-strike country, which still has traces of century-old ghost towns. Arrive in Las Vegas—a neon desert oasis packed with spectacular hotels and casinos. GRAND CANYON NATIONAL PARK Grand Canyon National Park Lodges (NP). The trip ends today with guests departing on individual schedules. Transfers to Las Vegas McCarran International Airport are included. You can extend your vacation with extra nights and explore “Sin City” further with a variety of exciting optional activities. LAS VEGAS Harrah’s Las Vegas (F). In Salt Lake City, Crazy Horse Memorial, Mount Rushmore, and Tatanka. Inside visits as shown in UPPERCASE in the tour description, including admission charges where applicable., Black Hills, Deadwood, Yellowstone National Park, Grand Teton National Park, Bryce Canyon National Park, Zion National Park, Lake Powell, Painted Desert, and Grand Canyon National Park., Services of a professional Tour Director.